Hello! This is Tsuji lab's website. 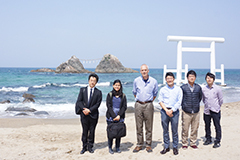 April 18, 2019 An article of Prof. Tsuji was published on Kyushu University's website. 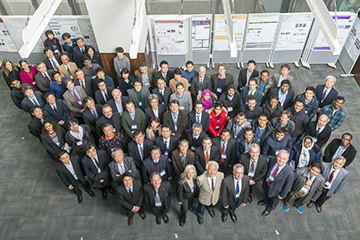 "Research Close-Up: Looking beneath the earth's surface"
April 16, 2019 The member page was updated. 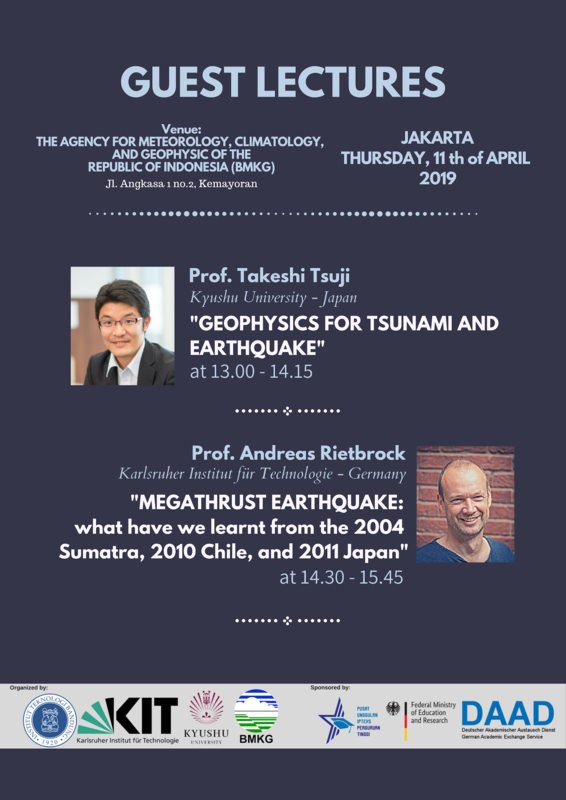 April 12, 2019 Prof. Tsuji gave a lecture in Jakarta. 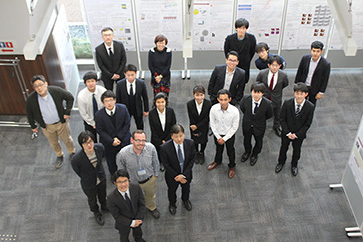 April 2, 2019 An article of Prof. Tsuji was published in "QS WOW NEWS". 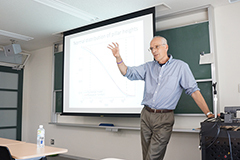 "Kyushu University receives research award for the second consecutive year "
March 29, 2019 Prof. Roel Snieder gave us lectures. 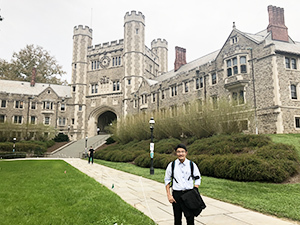 March 11, 2019 The paper by Dr. Jia (WPI visiting assistant professor) was published from The Journal of Physical Chemistry C and has been released from EurekAlert! Science News. 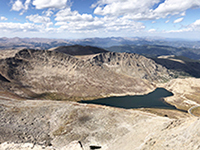 "CO2 mineralization in geologically common rocks for carbon storage"
February 26, 2019 A paper entitled "Evolution of hydraulic and elastic properties of reservoir rocks due to mineral precipitation in CO2 geological storage" by Profs. Takeshi Tsuji, Tatsunori Ikeda and Fei Jiang published on "Computers & Geosciences". They reveal the influence of CO2 mineralization in rock pore space upon the hydraulic and elastic properties using digital rock physics. In CO2 storage division, we have developed the computation scheme of the digital rock physics. 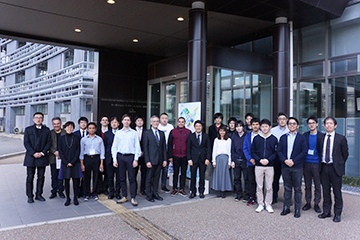 February 1, 2019 We held "I2CNER Annual Symposium and International Workshop". Thank you for joining! 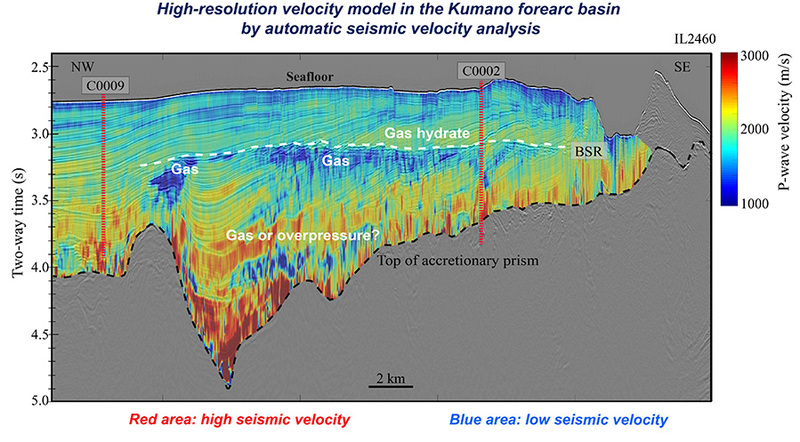 January 15, 2019 The paper by Kakda Kret(D3) was published from Exploration Geophysics. 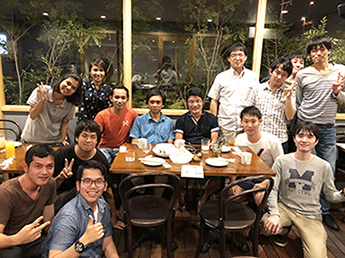 "Grid-search inversion based on rock physics model for estimation of pore geometry and grain elastic moduli: application to hydrothermal ore deposits and basalt"
October 22, 2018 We had a welcome party for Mr.Zhang(D1), Mr.Liu(Research Student) and Mr.Yamada(Hokkaido Univ.). 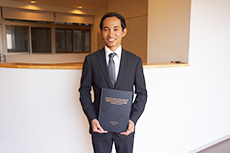 October 15, 2018 The paper by Chandoeun Eng was published from Marine and Petroleum Geology. 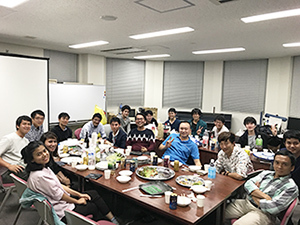 "Influence of faults and slumping on hydrocarbon migration inferred from 3D seismic attributes: Sanriku-Oki forearc basin, northeast Japan"
October 9, 2018 Prof.Tsuji gave a talk at Princeton University. The study of continuous monitoring system published from Geophysics has been released from EurekAlert! Science News. "New approach offers high-resolution seismic monitoring of the shallow subsurface"
October 1, 2018 The member page was updated. 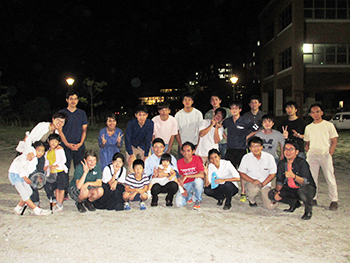 September 25, 2018 We had a graduation BBQ party. September 25, 2018 Congratulations on your graduation! Chandoeun Eng received a doctor's degree. 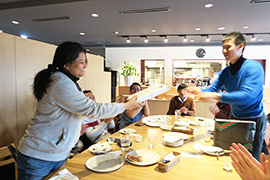 Rezkia Dewi Andajani completed the master's course and go on for a doctorate. 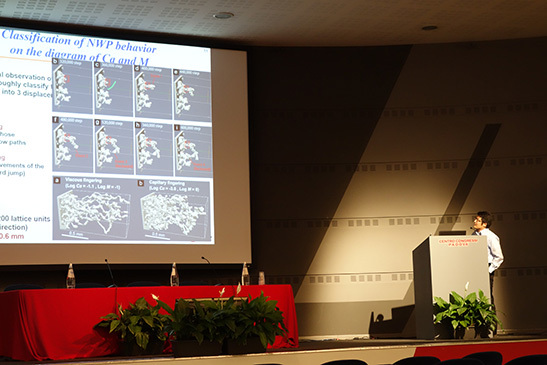 September 18, 2018 Prof Tsuji gave invitation talk in CCUS forum in Beijing, China. 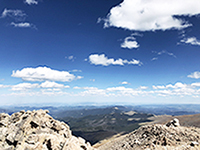 August 27, 2018 We climbed Mt. Evans (Colorado). This field exercise is a curriculum of the engineering cooperative program for resources engineering. 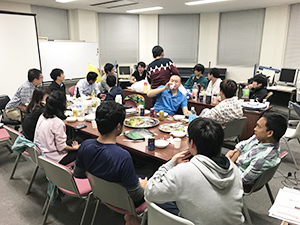 July 10, 2018 Dr. Taira (University of California, Berkeley) gave a lecture for us at Institute Interest Seminar Series (I2CNER ). 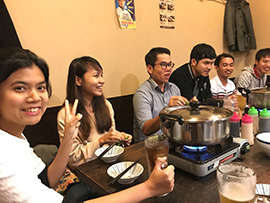 July 9, 2018 We had a welcome party for Andri. 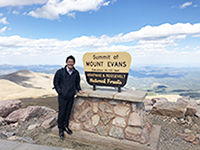 June 19, 2018 The paper by Dr. Jiang (WPI visiting assistant professor) was published from Water Resources Research and has been released from EurekAlert! Science News. 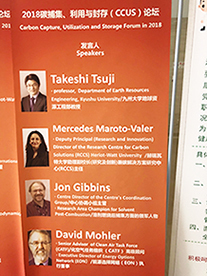 "Novel method for investigating pore geometry in rocks"
June 12, 2018 Prof. Tsuji received "Island Arc Award (The Geological Society of Japan)". 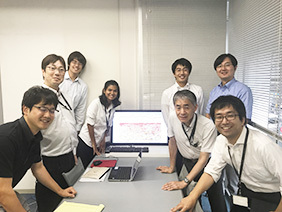 Ayumu Miyakawa, Saneatsu Saito, Yasuhiro Yamada, Hitoshi Tomaru, Masataka Kinoshita and Takeshi Tsuji, 2014, Gas hydrate saturation at Site C0002, IODP Expeditions 314 and 315, in the Kumano Basin, Nankai trough. Island Arc, 23, 142-156. May 29, 2018　Dr.Ikeda, Chanmaly Chhun(D2) and Andajani Rezkia Dewi(M2) received the awards of SEGJ. ・C. 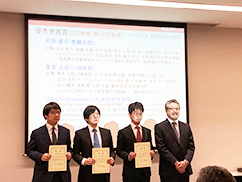 Chhun, A. Kioka, J. Jia, T. Tsuji, Young Oral Presentation Award of the 137th SEGJ conference. ・T. 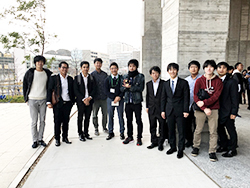 Ikeda, T. Tsuji, M. Nakatsukasa, H. Ban, A. Kato, K. Worth, D. White, and B. Roberts, Young Oral Presentation Award of the 136th SEGJ conference. 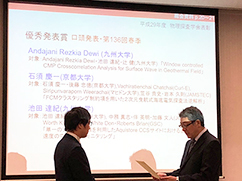 ・Andajani Rezkia Dewi, T. Ikeda, and T. Tsuji, Young Oral Presentation Award of the 136th SEGJ conference. 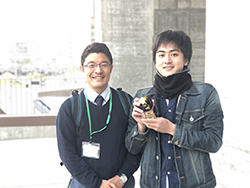 February 23, 2018 Chanmaly Chhun (D2) received "Young Oral Presentation Award" of the 137th SEGJ conference. January 22, 2018 We had a welcome party for Fernando. December 20, 2017 We had a farewell party for Dr. Singh. November 27, 2017 The paper by Hiro Nimiya (M1 student) was published from Science Advances. October 27, 2017 The study of earthquake fault characterization was published from Earth and Planetary Science Letters. October 25, 2017 The paper by Chandoeun Eng (D3 student) was published from Exploration Geophysics. In this paper, we characterize the seismogenic fault in the Nankai Tough using digital rock physics. September 4, 2017 Andajani Rezkia Dewi(M1) finished her internship at JGI. August 17, 2017 Dr. Ikeda and Andajani Rezkia Dewi(M1) received "Young Oral Presentation Award" of the 136th SEGJ conference. June 20, 2017 Our paper was published in "Earth, Planets and Space". May 2, 2017 Our paper was published in "Scientific Reports". April 3, 2017 I started working in department of engineering.